FEA consulting is at the heart of what we do at BroadTech Engineering Singapore. Through Finite Element Analysis, we are able to help you to solve complex structural engineering challenges so as to allow you to make an informed and precise engineering design decision within a shorter period of time. 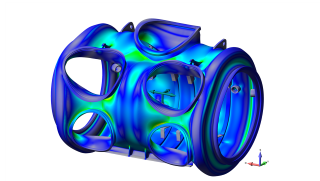 With our Finite element analysis (FEA services), we provide you with an insightful FEA simulation analysis that is fully customized based your real-world application. For an even higher level of realism and accuracy in predicting the performance behavior of structures, we can use our advanced FEA software to systematically parameterize the simulation to allow the FEA analysis to analyze multiple design scenarios. 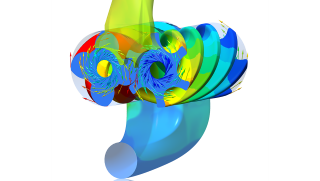 At BroadTech Engineering, we provide a comprehensive range of finite element analysis (FEA) engineering consulting services. Some of the common types of FEA engineering analyses that we have successfully solved for our FEA consulting clients include Structural, Thermal, Fatigue, Composite, Explicit Dynamics and Fluid-structure interface (FSI) analyses. 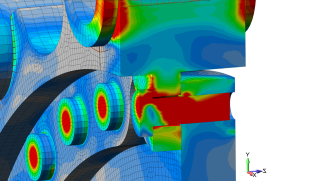 To optimize your products or engineering processes, our highly professional FEA consulting engineers will perform a structural engineering simulation via a comprehensive Finite element computer analysis to provide insight into your engineering challenges. Static structural analyses simulation permit for the useful prediction and validation of structural deflection, distribution of Strain and Stress regions, and temperature distribution within a component under investigation. Although this is the most frequent FEA analysis performed for structural verification, the investigation is often complex in nature and has increasingly evolved to include complex interactions within the simulation analysis (eg. Surface Contacts, Mechanical joints, Composite materials) to linking with other physics (fluid-structure, electromagnetic-structure). In many applications, the primary quantity of interest is the heat distribution in an engineering prototype design when it is subjected to multiple internally generated heat and External thermal heat sources. 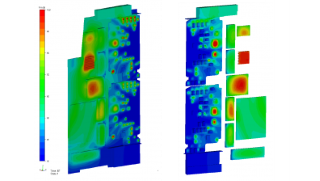 For these types of design challenges, FEA thermal analysis can give useful insights into the temperature distribution and thermal heat flow paths. 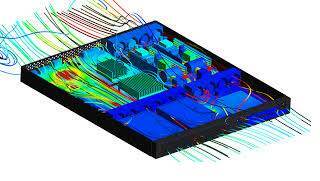 With ANSYS’s impressive simulation capabilities in conduction, convection, radiation, temperature dependent material models, and internal heat generation, complex systems can be accurately analyzed. Through Fatigue analysis and Fracture failure analysis, we are able to provide you with definitive answers to your most pressing fatigue life prediction investigation studies through expert numerical analytical simulation of fatigue life prediction. Component failures are in many cases not due to a single event, but due to accumulative damage caused by a series of events. The typical fatigue process is to maintain stress/strain levels below the acceptable for the required number of cycles. Multiple loads often occur and will have a different cycle requirement. 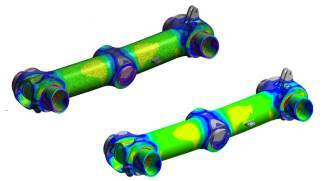 ANSYS Fatigue or the more advanced nCODE can accurately predict the component life. An alternative approach is to understand that a crack occurs in the component. The fracture is analyzed to determine whether it will further propagate, and if so, at what rate. Composite materials are widely adopted for manufacturing applications due to their unique high Strength to Weight ratio as well as the flexibility they offer to be optimized. 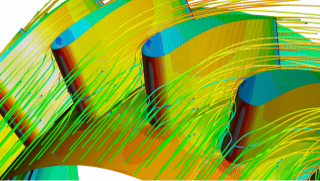 FEA Analysis Simulation helps optimize the design for maximum reliability by determining the best combination of Fiber orientation and Stack-up to meet desired structural characteristics with the minimum possible weight.Composite simulations add an extra level of complexity to other simulation analysis. One can utilize dynamics, advanced non-linear capabilities and thermal, combined with additional factors of ply orientation, fiber properties, draping, curing stresses, degradation fields, progressive failure and complex failure criteria. 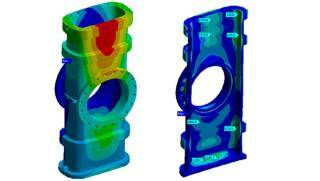 The ANSYS Composite Prep/Post module facilitates the generation and subsequent post analysis of the simulation models. BroadTech Engineering’s expertise includes analysis of composite manufacturing processes, thin and thick composite capabilities, material experience, localized attachments and thermal. Explicit dynamics solutions are well suited to analyzing physics that involve severe load forces applied over a short span of time (in the order of micro- or milliseconds). It can also be used for solving highly non-linear physics challenges, including occurrence of wear contact, exceedingly large strain, and material structural failure. The dynamic analysis allows the user to account for the time-dependent characteristics of their structure. For linear dynamics, the initial effort is often to determine the natural frequencies through a modal analysis. 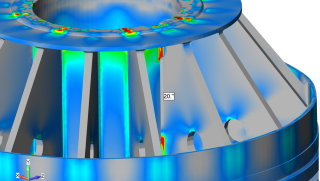 Results are then utilized in a harmonic, shock, seismic, random vibration or transient simulation to determine deflections, stresses, and strains. For nonlinear dynamics analysis, a direct transient simulation can be performed. ● Rotordynamics for power generation, transportation, electronics and process equipment. A kinematic analysis is often considered when the motion or displacement of an assembly prototype is dominated by the joints within the functional system. A kinematic analysis is deemed to be rigid when deflections are totally characterized by the joints or have flexibility when the stiffness of the moving components is taken into consideration. These days as the globalized business landscape has become more competitive, even an incremental increase in material performance can be instrumental in the success or failure of the product. Optimization can be quantified in many different methods, such as cost, pressure drop, weight, deflection and useful life. Through the use of either parameterization or topological optimization, engineering designs can be significantly improved to maximize their performance potential.Additional parameters that are of a close relation with Optimization are Sensitivity and Robustness. There are cases where an engineering design performs perfectly under an ideal manufacturing and environmental conditions, but slight variations can quickly degrade this. Often the best design isn’t the one that has the best performance for one singular operating condition but has good performance over a variety of environmental conditions. Having a design performance that is not sensitive to external variables allows the opening up of machine tolerance. This helps to reduce cost by eliminating the need for tight tolerances. Environment: Abaqus 6.12, Hyper Mesh 13.0. Objective: To do a literature review and find out the suitable method to simulate a soil-structure interaction. Need for soil-structure interaction: Footrest is a part of 46m Military load class 70 modular bridge. there are four-foot rest over which the bridge is mounted. The load to the bridge gets transferred to the ground through the footrest. an initial fear analysis was carried out considering the ground to be rigid. when summer trials were held in loose soils, the footrest was found to be failing and cracks started developing. Method & Software used: modeling was done in Abaqus 6.12 and the hyper mesh was used to mesh the model. An elastic-plastic analysis was carried out. The soil was modeled as a single solid continuum. contacts were defined between soil and structure. It was assumed that relative motion between the soil and structure is impossible Two cases were considered. where the soil was considered to be elastic in case one and the soil was considered to undergo plastic deformation in case two. The soil was made considerably big such that soils boundary condition doesn’t affect the model. Conclusion: Footrest was found to be failing exactly in the same location as in original component. 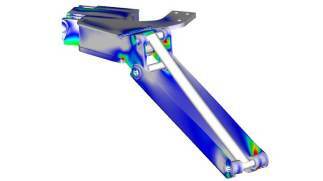 Further design optimization was performed manually and the FEA analysis was carried out. The footrest was found to be safe. * Material modeling using Johnson cook plasticity and damage to high-velocity impacts. 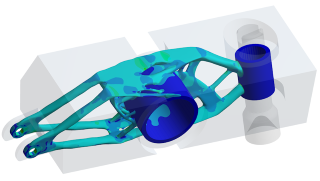 * FEM Crash analysis using Abaqus explicit * Drop test, using Abaqus explicit under gravitational load. 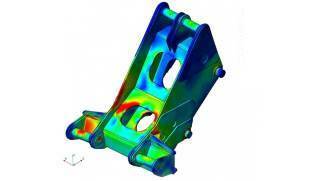 * FEA Thermal stress analysis. * Frequency response analysis. Objective: To evaluate the level of comfort the bridge offers, while a pedestrian walks on the bridge. 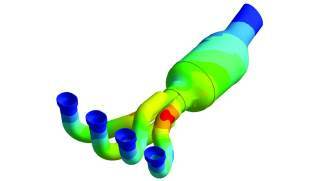 Method & Software used: Abaqus 6.12 was used for the complete simulation. Beam and shell elements were used for the simulation. mountain footbridge is a single span 32m bridge, pedestrian comfort is inversely proportional to the length of the bridge. Vibration pattern that arises when a human walks on the bridge is well documented and is mathematically expressed as a function of Bridges’s natural frequency. The natural frequency closest to the human-induced vibration is used to simulate resonance condition. A modal analysis was carried out to find the natural frequencies, followed by a transient analysis was carried and acceleration of the bridges at the center of the bridge was documented. Conclusion: The accelerations were well below the limits specified in the documents, which implies very fewer vibrations while walking and high comfort. Objective: To evaluate fracture toughness parameters of functionally graded material used in bulletproof Armour. 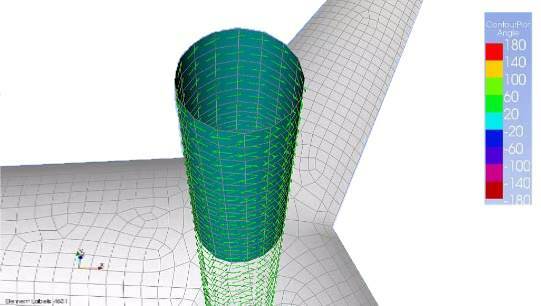 Method & Software used: Abaqus 6.12 was used for complete simulation, conventional contour integral method that uses a dedicated mesh pattern to create stress singularity and XFEM where the mesh is independent of the crack was used to evaluate the fracture toughness parameters. Conclusion: FGM samples showed more resistance to crack propagation. The results were documented for different crack lengths and gradations, all work to publish the results is on. An actual physical engineering test can reveal you of an occurrence of a failure in a product or structure, however, this inefficient testing and development process is often Costly, takes up precious product development time and in many cases, does not really reveal the real cause of the failure. 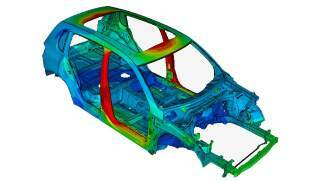 With our FEA consulting services, we can help you to answer to several questions that a real-world test simply can’t. 1. Identification of Areas with Excess Material to save on unnecessary material and weight. 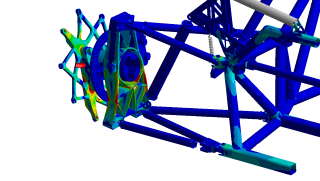 Our FEA engineering consultants engineers employ some of the industry’s most advanced analysis tools which are widely recognized as the best-in-class in the engineering simulation industry. Our team of FEA consulting engineers consultants you will be working with has advanced degrees and deep expertise across a wide range of industries such as Automotive machinery, Biomedical, Aerospace engineering, Building & Construction, chemical equipment, Power Generation, Oil and gas, and Consumer Electronics. Throughout the entire life of the FEA consulting project, our FEA consulting engineers will work closely with you to understand your analysis requirements to ensure that the right finite element analysis approach is adopted. For several years, our FEA consulting services have been relied upon to provide answers to some of the most challenging Structural and Thermal Analysis projects. From basic part component analysis to total end-to-end FEA analysis processes, we are able to deliver reliable insights solutions that help you to solve real-world challenges. 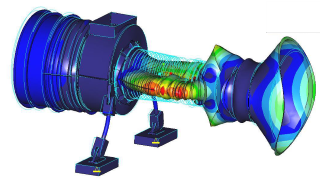 Our affordable analysis services allow smaller-scale companies to enjoy the benefit of a professional Finite Element Analysis solution without incurring a heavy cost of employing a full-time in-house FEA engineer. 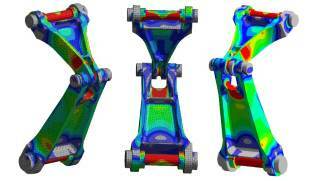 Our FEA consulting services does not just end with the results. To ensure that there is a complete knowledge transfer at the end of the analysis, we conduct comprehensive training to ensure there is no doubt on the understanding of the Finite Element results.